Los Angeles quartet La Luz step outside of their surfy doo wop comfort zone and dabble in proggy, experimental vibes on their third full-length album, Floating Features. This isn’t to infer the band has completely abandoned the inspirations that have helped to define their unique brand of neo-psychedelia, far from it. It’s only to say that, right from the jump, with the instrumental title track that introduces their latest record, Shana Cleveland and company make it known that La Luz have experienced a creative epiphany of sorts since their 2015 sophomore album, Weirdo Shrine, one that broadens their scope, allowing them to incorporate other psychedelic-adjacent elements into their sonic purview. 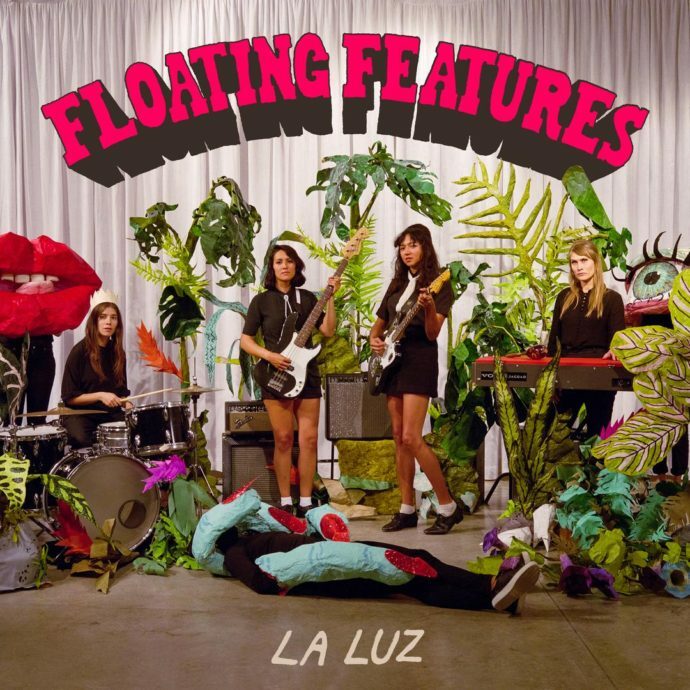 Floating Features isn’t a departure due to its production; La Luz’s wavy, reverb-heavy surf-rock guitar and retro organ sounds are firmly intact throughout. It’s the band members’ technical approach from track to track that helps set their latest LP apart from its predecessors. The jumpy organ and plucky rhythm section on “Cicada” create an anxious foundation that contrasts sharply with Cleveland’s patiently lilting, ethereal vocals. “California Finally”, Floating Features’ excellent centerpiece, finds drummer Marian Li Pino conjuring a tricky beat that slowly comes into focus as the song progresses. La Luz has delivered a decent third studio album that fans of the band will find easy to embrace. In addition, their latest record offers up enough new technical tricks and compositional elements to draw in listeners typically attracted to a more instrumentally proficient style. Floating Features finds La Luz evolving without abandoning their roots or disowning their previous releases.